The Club was saddened when in June we lost ourselves highly respected President Bim Chapman. As most of you knew, Bim and his brother Bob set the wheels in motion, in1973 to establish our club, which was constituted in 1974. Bim was well known throughout Bedfordshire and a lovable character loved by all and who never had a bad word about anyone. In his day, an excellent bowler who can proudly claim to have been a member of the winning rink representing England who beat Scotland in the final of The Royal British Legion Cup, indeed a very proud achievement. Our new President will be Jim Seamer, who is a long standing and loyal member of our club. I know we all welcome Jim into his honoured role as our new President. During the close season, many have played indoors and some on the Village Hall Tuesday roll ups. Our new committee have been very active and have created the very popular Friday evening quiz night events during the dark winter nights keeping the club together. We have secured some invaluable financial support from new sponsors and this coming season we will be sporting our new shirts. The Green committee have performed magnificently again to produce a top surface on which to bowl. So a huge thank you all for what you have done pre season and what lies ahead into 2019. We are delighted to warmly welcome some new members. Our coaching day is as usual on a Tuesday afternoon and you will be assisted by qualified coaches if you require any support. So come on down, and why not bring a friend along. Have a great season and enjoy! 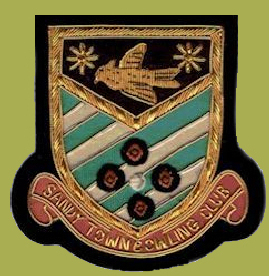 Copyright © 2019 Sandy Town Bowling Club . All Rights Reserved.